Dynalife L-EP is a multipurpose, extreme pressure (EP) lithium grease developed for use in a wide variety of industrial and automotive applications. It is a versatile, general-purpose grease recommended for use in applications where operating temperatures and loads are moderate. It is available in six grades to cover a wide range of applications. 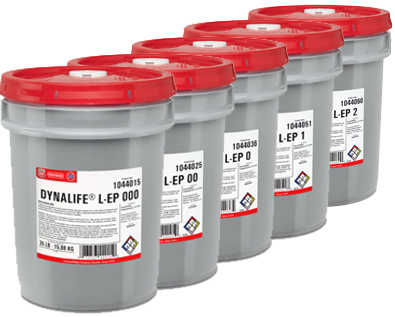 Dynalife L-EP is manufactured with high-quality base oils, a special polymer nad lithium 12-hydroxystearate soap thickener. It is fortified with extreme-pressure and antiwear additives plus rust and oxidation inhibitors. It has good load-carrying capacity for protection against wear, good oxidation resistance for long service life, protects metal parts against rust and corrosion, and is resistant to water washout. It has good resistance to structural breakdown and will not soften excessively during high-speed operation in rolling-element bearings. It forms a good seal to help minimize bearing contamination.